LONDON — Hanya Yanagihara was among those announced Sept. 15 as the shortlisted authors for the 2015 Man Booker Prize for Fiction. The names were announced by the chair of judges, Michael Wood, at a press conference at the offices of sponsor Man Group. This is the second year that the prize, first awarded in 1969, has been open to writers of any nationality, writing originally in English and published in the U.K. Previously, the prize was open only to authors from the U.K. and Commonwealth, Republic of Ireland and Zimbabwe. 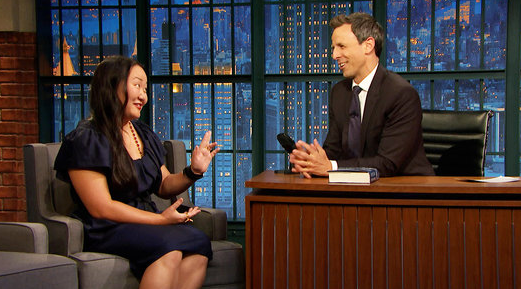 In Yanagihara’s 720-page novel, four college friends confront the bleakness of life. In an interview, she was asked if she was worried about overdoing the amounts of heartbreak, distress and trauma. Her favorite Man Booker-winning novel is Kazuo Ishiguro’s “The Remains of the Day,” which was recognized in 1989. As for her next project, she said she’s considering two projects “and the embryo of a third,” but hasn’t committed to any of them. “Only on rare occasions does celebration come so closely aligned with regret,” said Wood. “The regret of what we left out was tempered by the enormous excitement we have in presenting the six books on the shortlist. Wood is joined on the 2015 panel of judges by Ellah Wakatama Allfrey, John Burnside, Sam Leith and Frances Osborne. The judges considered 156 books for this year’s prize. The 2015 winner will be announced on Oct. 13 in London’s Guildhall at a black-tie dinner that brings together the shortlisted authors and well-known figures from the literary world. The ceremony will be broadcast by the BBC. In the meantime, there will be a number of public events featuring the shortlisted authors, and the traditional Man Booker Prize Readings will take place at the Southbank Centre on the eve of the prize. The shortlisted authors each receive 2,500 pounds and a specially bound edition of their book. The winner will receive a further 50,000 pounds and can expect international recognition.